Treating scars means using the techniques of SMP to camouflage the ravages of a surgeon or nature, or an accident, is a process that is unrivalled in terms of results. Treating scars is not easy. To start with, it is fair to say that almost no two scars are the same. Exactly how tissue heals around a wound will depend on a huge number of factors, not least the general condition of the patient at the time… underpinned, as always in anything to do with Scalp Micropigmentation, by the body’s own immune system. We will focus on the scars left by hair transplant surgeons as these are the most common form treated by SMP clinics – but just about everything will apply to other surgical or accidental scars. Scar tissue can develop in different ways. Of course this does not mean that a surgeon cannot achieve a certain degree of predictability, but as previously mentioned the overall health of the individual will hold great sway over the final condition. Some will end up with smooth, almost white, lines. Others will suffer with angry, raised and bumpy scars which can be red in colour. These are described as “hypertrophic” by medics. The flat, pale type are by far the most common but others include keloid, where the scarring extends beyond the site of the original scar. Pitted, where the scar is sunken and contracture, where the skin is shrunken… usually by a burn. 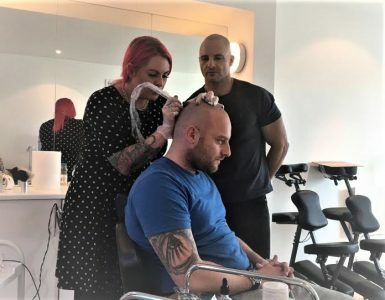 Scalp Micropigmentation into scar tissue is essentially the same job as SMP into regular scalp tissue, which itself has a degree of unpredictability about it, at least for the first session. For regular SMP the second session can take into account how the scalp has reacted to session one and compensate with greater density, or darker shades, or sometimes simply reapplying what was done during the first session – it is one of the areas where your practitioner will bring their experience to bear. The second session with scar tissue is far more unpredictable, indeed it can take several visits to the clinic before a satisfactory result is achieved. Nevertheless, clients who at some point in the past paid many thousands to a surgeon, and now find themselves with disfiguring scars that have become fully exposed by the onward march of their hair loss, find the trade off in time a small price to pay for a return to normality. Surgery can be used to reduce the appearance of a scar, with variable results. 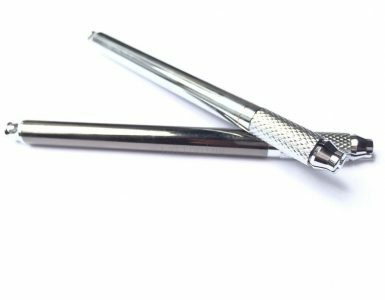 There are also a number of complimentary procedures, fraxel for example, that can improve the condition of scar tissue – they can reduce the redness or smooth out bumpiness. 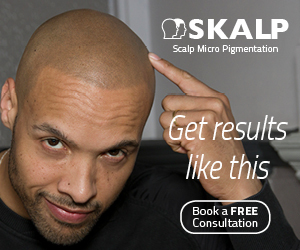 Many SMP clients choose to take a course of fraxel ahead of their Scalp Micropigmentation to improve the final result. If scalp scars are an issue for you then rest assured an SMP treatment can achieve 95% coverage, almost complete camouflage. Certainly the appearance of the scar can be reduced to something that is very easy to live with… as can be seen by the picture above. Check out the gallery section of leading providers and most will offer a selection of great scarwork. If you are in need of advice on the treatment of your scar, or would like some help finding a reputable clinic, please write to us at info@smpdebate.com – We will be delighted to hear from you and happy to help, click here to get in touch. Pictures provided by Skalp Clinic. Click here to visit their site.